Chop. Chop. “Job’s done.” I can totally do this. Could someone just lift the heavy block up for me? I am not a lumberjack. I will not quite my job to pan for gold. 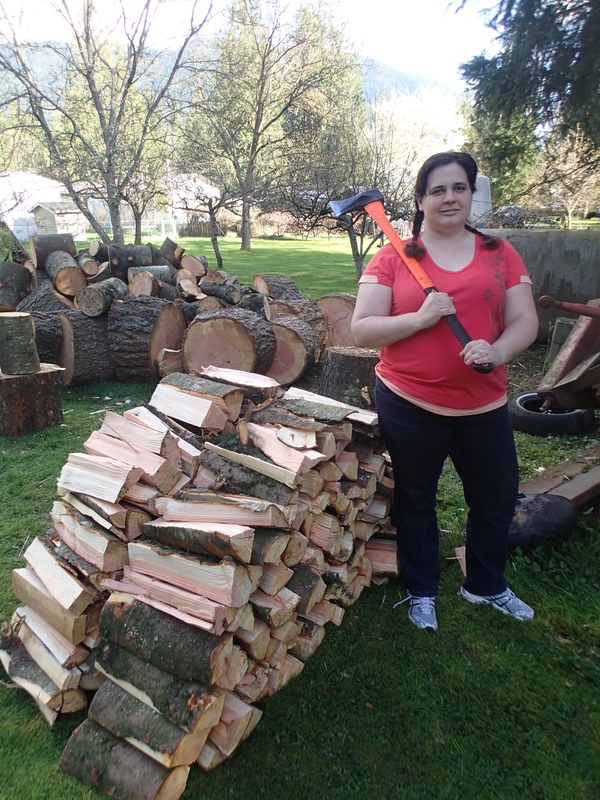 Ok, so maybe I’m not built for chopping wood full time…but that’s only one of my I’ve-had-a-bad-day dreams. (I also plan on being a cattle rancher and a bee keeper and several other unlikely things. BTW, I’m totally allergic to wood, cattle and bees…I think I see a pattern in my plans.) On the bad days do you dream about doing something else, anything else? When you want to run away, what do you plan? Do you own an ax? Happy writing.